I met my husband when I was nine years old. We grew up a childhood sweethearts, dating off and on through our teenage years until we finally tied the knot in our twenties. After years of marriage and four kids later, I’ve grown to love him more than our wedding day. Even after all these years, I still struggle with buying him gifts for Valentine’s Day. 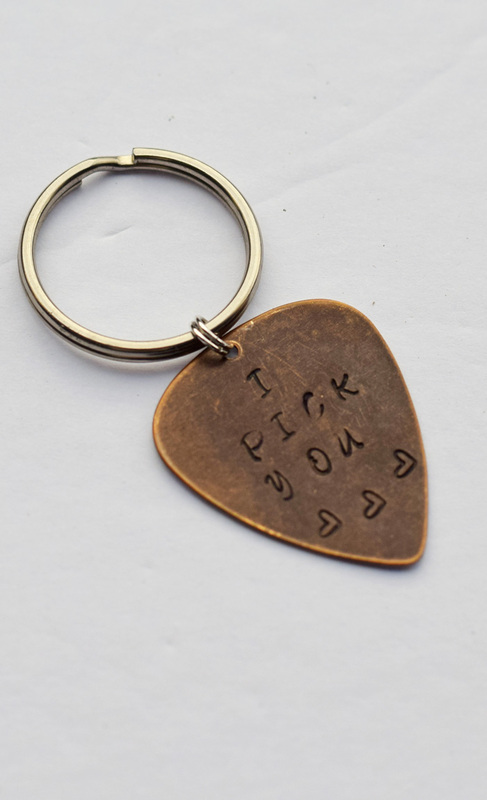 I want to get him a perfect, meaningful gift. 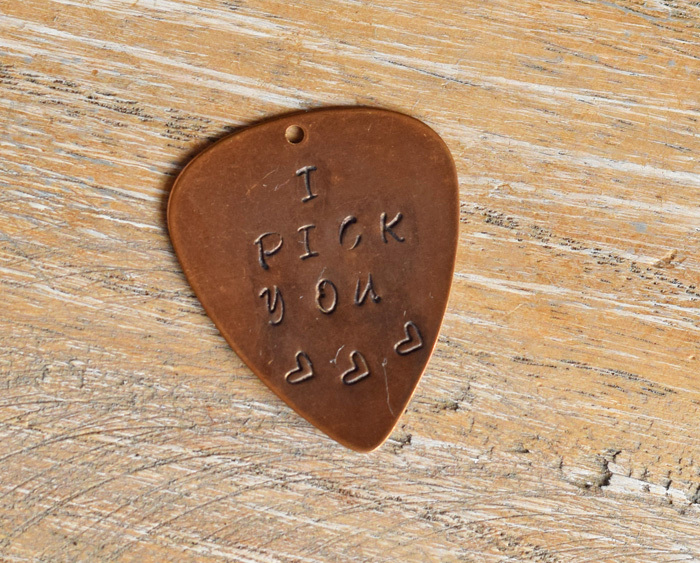 This year, I’m going handmade with this DIY Metal Stamped “I Pick You” Guitar Pick. For my readers that do not know, my husband plays guitar (very well, in fact!). We are singing next week at a Valentine’s Banquet. Singing together is an activity that we have enjoyed long before our daughter and the triplets came along. 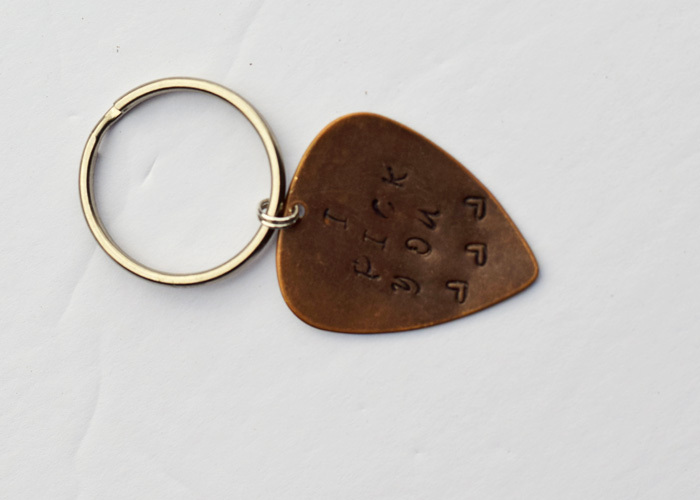 I know this metal stamped guitar pick will be meaningful gift for him. 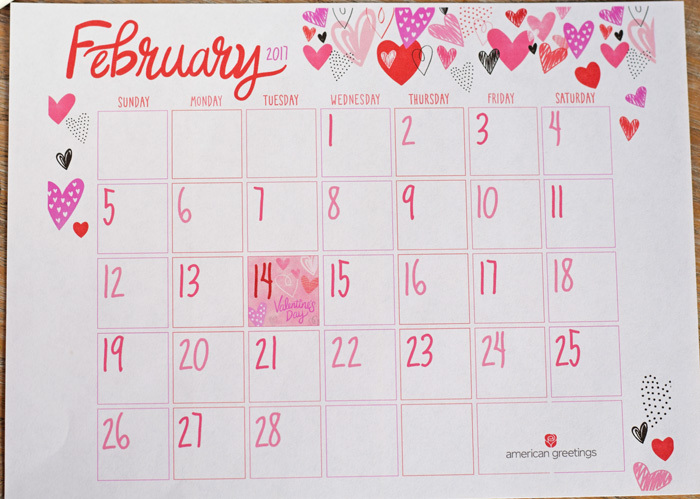 Valentine’s Day is only 12 days away, leaving plenty of time to make this DIY! Removable tape, such as washi tape, etc. 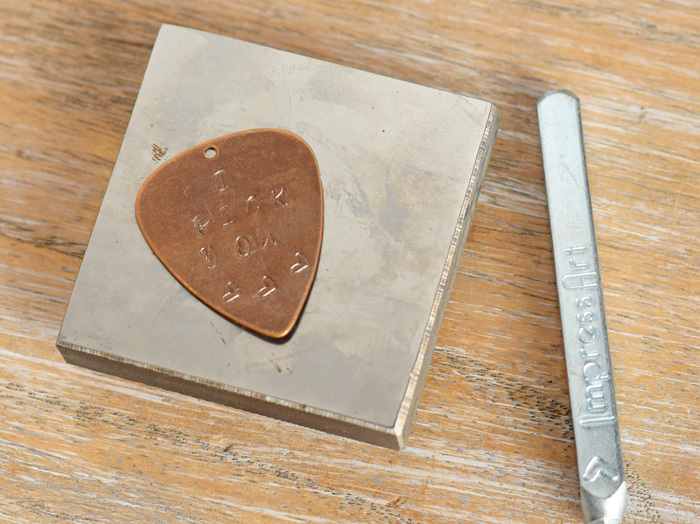 The Happy Hour Projects blog first introduced me to metal stamping several years back. 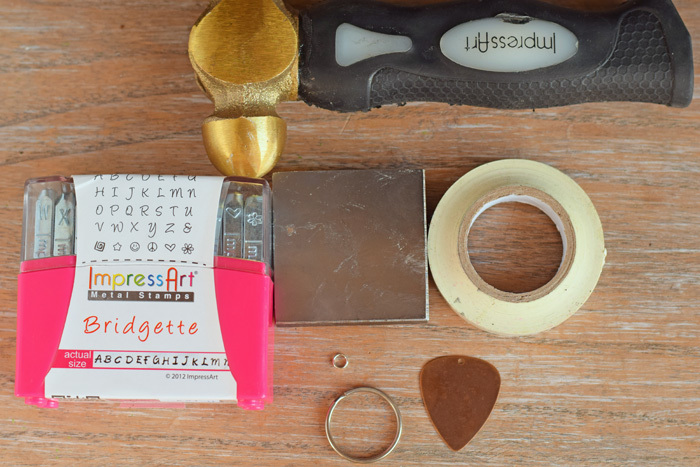 If you are new to metal stamping, you may want to pop over and check out Adrianne’s jewelry stamping for beginners post. 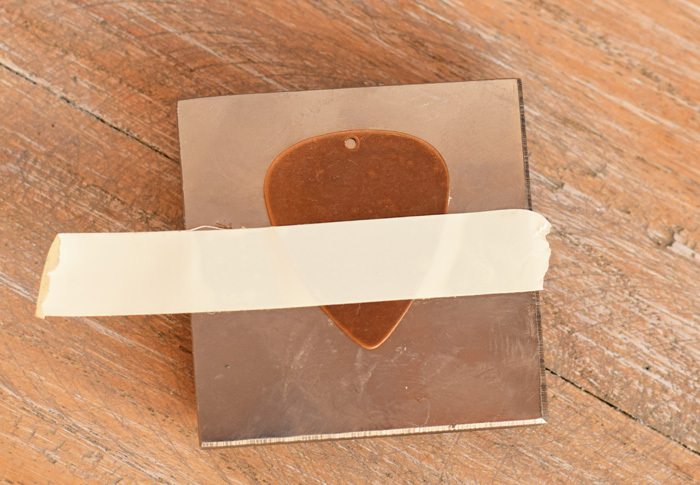 Use the tape to secure the blank to the metal stamping block. The tape will also serve as a guide for stamping the words, so make sure that the tape is straight. I always start with the word in the middle (in this case, “pick”). For this reason, I placed my tape in the center of the blank. 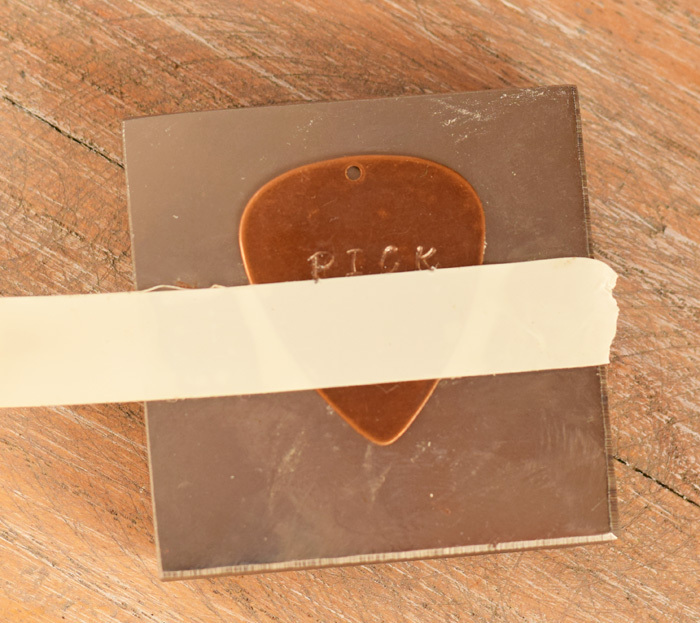 Use the hammer and the stamps to create the word “pick” along the line of the tape. Make sure that each letter is facing the correct way, that the stamp is completely vertical, and that you are applying the hammer firmly. You can see where the letter is not as clear where I did not get a firm hit on that particular letter. Remove the tape and continue the steps above until you’ve stamped the entire phrase on the blank. Add any other stamped elements at this time, as well. I added a few hearts. Draw over the stamped letters with the black permanent marker. Use the alcohol on cotton balls to wipe the marker away, leaving the marker in the grooves of the letters so that they pop. 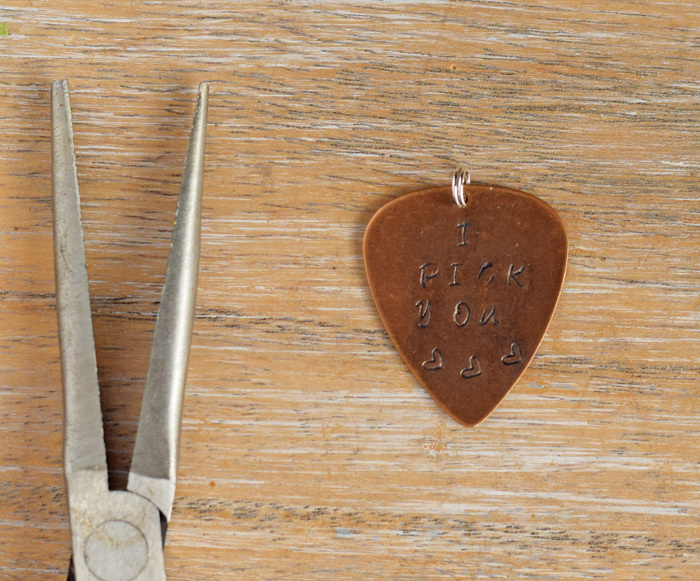 Using jewelry pliers, add the jump ring in the top of the blank. Most people do not know that my husband is a sucker for the perfect card. I grabbed an American Greetings Valentine’s Day card to gift with my handmade item. 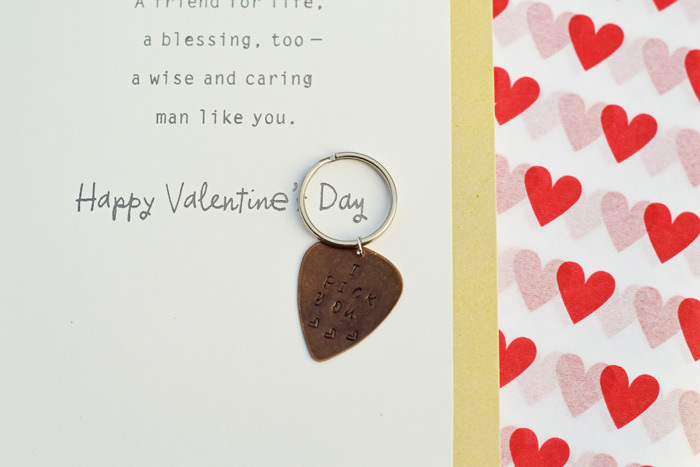 American Greetings is my go-to for awesome gifting items for holidays, including Valentine’s Day. From stickers, treat bags, gift bags, tissue paper, and cards for friends, American Greetings always has just the right thing with the perfect message. Even though my husband and I lead busy lives, I like that I can utilize American Greetings cards to enhance meaningful connections. 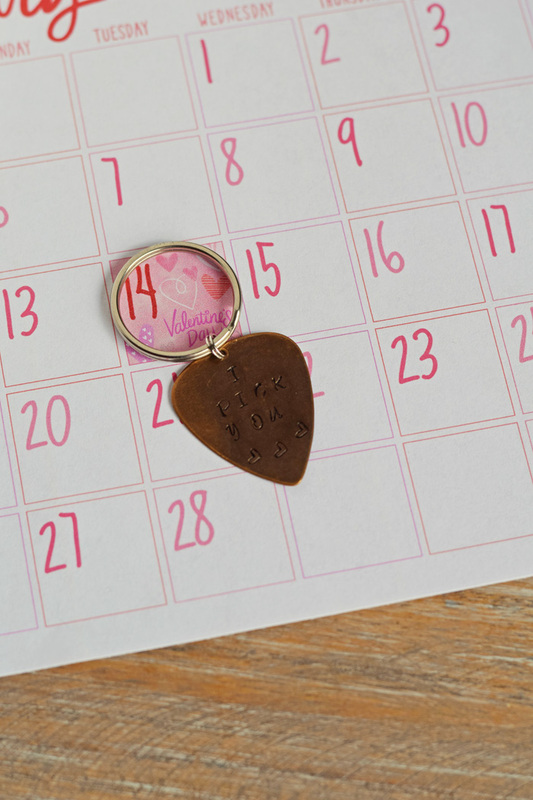 Check the American Greetings website for free printables, including this cute calendar. American Greetings is also offering other printable elements, including a printable Shopping list with tear-off “loves notes,” mobile/desktop wallpaper, and an 8×10 frame-worthy quote. 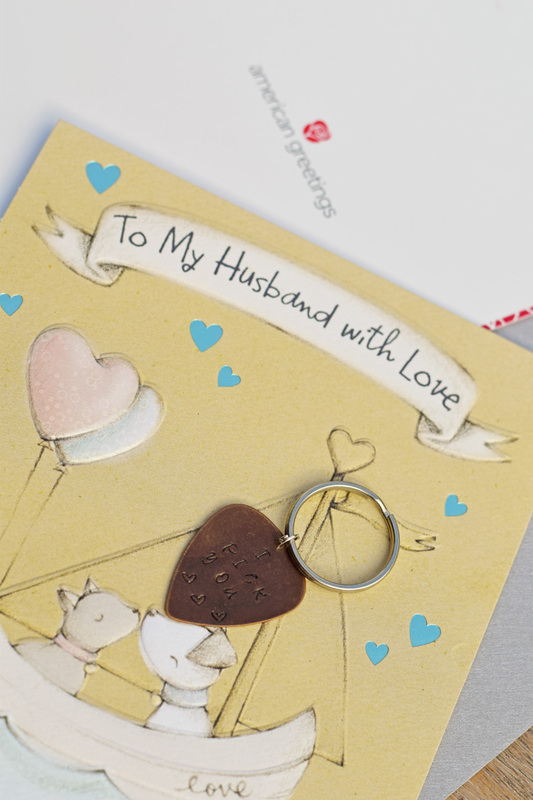 Find a store near you that sells American Greetings products. 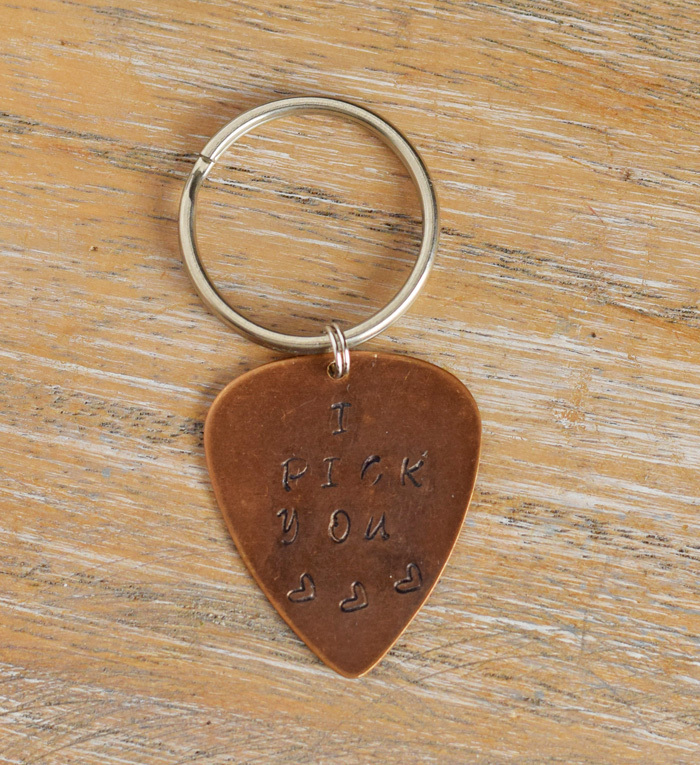 Awwww this is so sweet and the perfect gift for your hubby!